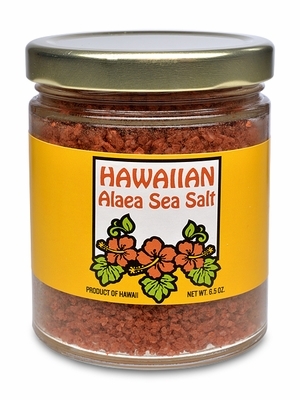 The reddish tint of this Hawaiian Sea Salt comes from the 'Alaea that is introduced during the harvesting process. 'Alaea is a baked Hawaiian clay that significantly increases the health benefits of the salt, as it is composed of over 80 different minerals. Savor the unique and pleasant flavor of this salt in place of regular table salt or other sea salts.